The new 737 MAX airliner offers unprecedented levels of efficiency, reliability, and passenger comfort along with improved environmental performance. 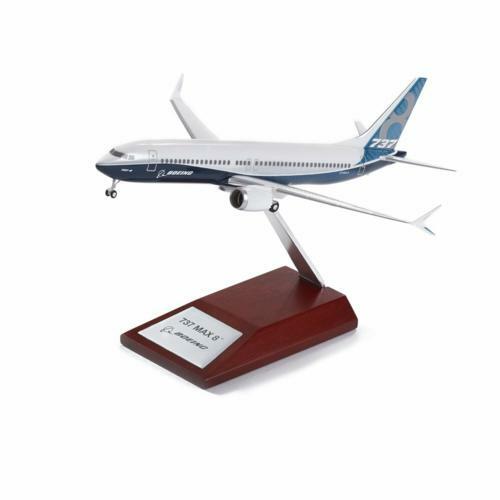 This reproduction of the 737 MAX is produced from Boeing-approved scale drawings. It's made from precision-molded plastic with weighted body and finished in a high-luster finish with accurate decals. The special wood-base stand featuring an engraved plaque. Some assembly required: components snap together easily. 1:200 scale. Length: 19,7 cm. Wingspan: 18,4 cm.